Dental implants are a restorative treatment of choice for millions of Americans every year. This permanent solution to damaged or missing teeth is an extremely durable way of ensuring that your mouth is as healthy as possible. 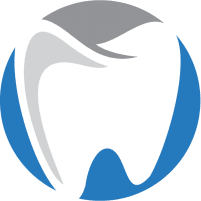 At Oxnard Dentistry in Oxnard, California, Kourosh Keihani, DDS, and his team offer high-quality dental implants to fill in gaps and treat any damage. Get in touch with Dr. Keihani today by phone or online to learn more about the advantages of dental implants. Dental implants refer to prosthetic devices that use titanium posts to replace damaged teeth and fill in gaps. Dr. Keihani inserts the titanium posts directly into the jawbone to ensure that they can hold the replacement tooth. He uses titanium because it most naturally blends in with the bone rather than being identified as a foreign object and causing an infection or rejection. The metal posts ensure a stable fit for the replacement tooth without damaging neighboring teeth. Dental implants are self-sufficient, in that they don’t depend on natural teeth for support. They’re a great alternative to dentures or bridges. Some of these symptoms might be indicative of a condition that requires a more intensive intervention than dental implants. Before recommending them, Dr. Keihani and his team evaluate your overall health as well as your jawbone density to make sure the treatment area is strong enough to support the titanium posts. Depending on your situation, a dental implant procedure can take up to several months to complete. The length of your treatment depends on whether your jawbone is dense enough and on the amount of time it takes the bone to heal after the surgical placement of the titanium posts. At the beginning of the procedure, Dr. Keihani and his team remove any damaged teeth and thoroughly cleans areas where teeth are missing. Once the treatment site is prepared for surgery, Dr. Keihani makes a small incision in the jawbone to place the titanium posts. If your jawbone in the treatment area isn’t strong enough, Dr. Keihani can perform a bone grafting procedure, which involves grafting healthy bone from another part of your mouth. If he does this, you’ll need to allow enough time for the grafted bone to blend in with the treatment area. After placing the titanium posts, Dr. Keihani inserts an abutment in the treatment site. The abutment holds the crown (the replacement tooth). At this point, Dr. Keihani and his team prepare a temporary crown that you’ll have until the permanent one is made. Once the permanent crown has been manufactured, he removes the temporary crowns and places the permanent one with cement. Dr. Keihani and his team discuss with you the steps you need to take to ensure that your mouth can heal between each step of the process. Get in touch with Dr. Keihani and his team today by phone or online to find out if dental implants are right for you.